Our Baptism is a sign of our new life in Christ. We are united together with Christians throughout the world to love and to serve God. We invite you to prayerfully consider sharing in the life of the following Sacraments. 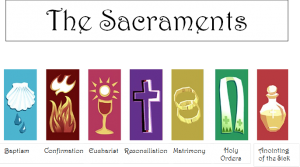 We invite you to inquire about these sacraments after our Sunday worship with the Rector. 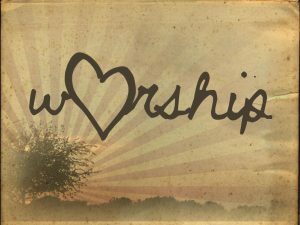 Sacrament of Holy Baptism – We invite you to receive the Sacrament of Holy Baptism, share in the Prayers of Thanksgiving for the Gift of a Child at Sunday worship and meet with our Rector for a brief rehearsal on Sunday prior to Baptism. Sacrament of Confirmation – We invite those ages 12 and up to receive the Sacrament of Confirmation which is the mature re-affirmation of one’s baptismal vows and commitment to Jesus Christ. Sacrament of Marriage – We invite you to meet with our Rector and complete a form for your Marriage. We proclaim Marriage Banns in our Parish Community and take the opportunity to pray with you. Annointing the Sick – We invite you to request “Anointing of the Sick” from our Rector. The sacrament may be celebrated at home, hospital or during regular Sunday worship. Funeral Liturgies – We invite you to contact our Rector and know that you and your family will be in our thoughts and prayers. Please know that we can arrange for you to have an organist and a funeral reception. Sacrament of Reconciliation – The Ministry of Reconciliation has been committed by Christ to the faith community. There are times that sin troubles our conscience and we need counsel and encouragement. Our Rector is available for the Sacrament of Reconciliation.